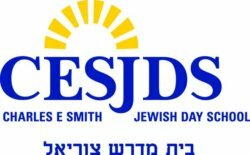 The Charles E. Smith Jewish Day School is looking for a technical director for its middle school musical for hire immediately. The technical director is a part-time position. Work hours are largely flexible and independent; they may take place during the school day or in the evening. The ideal candidate will have experience with sets and lighting and hold a BA. The school is also open to considering two candidates, one for sets and one for lighting. Job Categories: Theatre. Job Types: Temporary. Job Tags: design, director, and school. States: Maryland.